Chemicals are, and have traditionally been a part of swimming pool ownership but there are ways to have a more eco-friendly pool, but it will cost you money up front to get your pool to be eco-friendly. There are ways to make it happen and you can work with your swimming pool contractors from Imperial Pool Builders to find ways to turn your swimming pool into a more environmentally friendly pool and one that requires fewer chemicals. An environmentally friendly pool may also save you money and you will typically see a return on your investment that you make in the pool equipment over the long run of cleaning and maintaining your swimming pool. If you haven’t already, you need to talk with us about making a switch to a variable speed pool pump from your old single speed model. You will pay about $1,000 for a new variable speed pump but many pool owners see a return on their investmnet of up to 70% in the first month of using it! Variable speed pumps operate at lower speeds for the regular circulation of water and switch to full speed during the times you are vacuuming, for example. You could even opt to run the pump for 24 hours per day and it will still operate more cost effectively. Update your pool equipment and add it to timers. Programming your pool will help you realize energy efficiencies because you can program the pump to run during the off hours and “set it and forget it” you won’t forget to turn it on or off and that’s peace of mind. Any item you can program and set up to run automatically is an item that will operate more efficiently. Run pool equipment during off-peak hours is a money saver. Many electric companies lower the rates from about 9 pm to 9 am. Running the swimming pool pump at night can add up to substantial savings in your utility bills. Switch to a salt water chlorination system to help you use fewer chemicals to keep the pool water clean and clear. Salt water is considered “softer” and will leave your skin feeling silky smooth. The chlorination system will cost you a substantial amount up front, but you will save money over the life of your pool because you will use fewer chemicals. Heat the pool water with a solar heating system. When you do this you are not using fossil fuels to heat the water and are harnessing the energy of the sun. 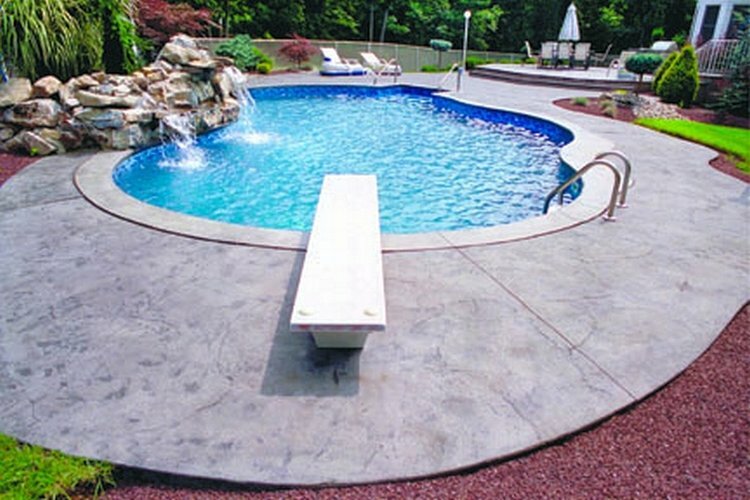 You can even try using a solar pool cover to heat the water and it just may warm it up enough to make it comfortable! Ask us for ways to incorporate more eco-friendly measures into your pool.